Nutritional Therapy aims to support your body through a holistic and achievable changes, in order to promote wellness. An initial appointment will last 90 minutes and this can be held either via Skype or at one of my clinics in Ipswich. We will discuss your health questionnaire and food diary, alongside your goals for the session. Once this is complete, the discussion will continue to your plan, aiming to create achievable changes taking into account your lifestyle. I will then send you the final plan alongside resources to support this 48 hours after the appointment. All follow up consultations will last 45 minutes. We will discuss your progress and further develop you aims and nutrition plan in line with your goals. You will receive an email confirmation of your appointment, along with a 3 day food diary to be completed on consecutive days in the week before your appointment. This is important in order to gain a view of your current eating habits and meal timings. Please be as truthful as possible in order to gain the maximum benefit from your consultation. You will also receive a health questionnaire, please complete this prior to your initial consultation. There is a section to complete with current medications and supplements, please ensure the dosage and brand name is written down. *Please note that the above prices reflect the cost of the consultation and the preparation and resources developed following the consultation. This is to enable me to offer you tailored and individual advice suited to your circumstances. Supplements and functional testing: It is possible that supplementation or further testing may be recommended, please note that supplements and tests are not included in the above prices. Cancellation: At least 24 hours notice must be given for cancellations. Cancellations within 24 hours or non-attendance will be charged at the full rates. Please note: Nutritional Therapy is not a substitute for medical care and I do not offer medical advice. In the interests of your safety, you will be required to agree to my Terms and Conditions. Statement of Acknowledgement and Informed consent to Examination and compilation of protocol. This form must be signed before our consultation can commence. Welcome to LARA PEPPER. Pilates. Nutrition. Massage. This clinic utilizes the principles and practices of Pilates, Naturopathic Medicine and Sports Massage to assist the body’s own ability to heal and to improve the quality of life and health through natural means. Naturopathic nutrition assesses the whole person, assessing mental, emotional and physical health. During your visit, a thorough health history will be taken and if needed measurements such as weight, hip to waist measurements (no clothes need to be removed), and blood pressure, may be taken. I am a Naturopathic nutritionist and NOT a conventional medical doctor (GP). Any treatment you receive is not mutually exclusive from any treatment or advice you may now be receiving or may received in the future from any other licensed health care practitioner. The methods I may use have a proven clinical foundation, yet may not be recognised or accepted by standard (allopathic) medicine. The treatment and/or referral to other health care practitioners is based on the assessment of your health, revealed through personal history, examination, laboratory testing, and any other appropriate method of evaluation. I reserve the right to determine which cases fall outside my scope of practice, in which event the appropriate referral will be recommended. You are not an agent of any private or government agency attempting to gather information without so stating your intentions. Changes in dietary habits are not an absolute prerequisite for treatment and you understand that failure to follow sound nutritional, exercise and lifestyle programs could undermine any expected results. You are accepting or rejecting this care of your own free will. The ultimate responsibility for your health care is your own and that I am here to support you in this. I reserve the right to discontinue my services where it is apparent that your expectations and what I can provide are not in agreement. Understanding that all fees, for services and supplements are payable prior to the appointment by the client or the guardian. Notice of 24 hours is required for appointment cancellations, otherwise you will be charged for the session in full. I also recognise that even the gentlest therapies, supplements and medications potentially have their complications in certain physiological conditions, in very young children, in those on multiple medications, in pregnancy, while breastfeeding and hence the information provided is complete and inclusive of all health concerns including risk of pregnancy; all medications, including over the counter drugs and supplements. 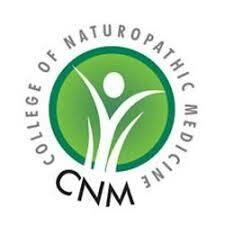 The slight health risk of some Naturopathic treatments include, but not limited to; aggravation of pre-existing symptoms, allergic reaction to supplements.